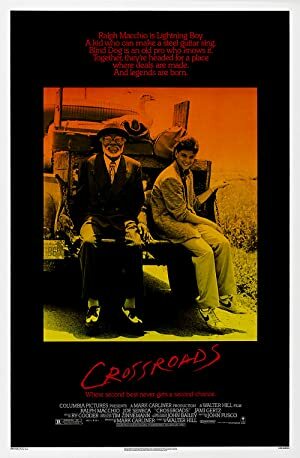 Crossroads (1986) – What's New on Netflix Canada Today! Eugene is an extraordinary talent in classic guitar, but he dreams of being a famous Blues guitarist. So he investigates to find a storied lost song. He asks the legendary Blues musician Willie Brown to help him, but Willie demands to free him from the old-people’s prison first and to really learn the blues on the way to its origin: Mississippi Delta. Eugene doesn’t know yet about Willie’s deal with the devil, that he now wants to revoke. Ralph Macchio is Lightning Boy. A kid who can make a slide guitar sing. Blind Dog is an old pro who knows it. Together, they're headed to a place where deals are made. And legends are born.